Most people think of dental care as the basic services that are intended to keep the teeth clean and healthy. While the teeth and gums are essential components of oral health, Dr. Jean Barthman approaches professional dental care from a more comprehensive standpoint, offering services that help patients care for the entire mouth, including the teeth, gums, soft tissues, and jaw. Because of this approach, Dr. Barthman is able to help patients suffering from oral conditions such as temporomandibular (TMJ) disorder, which can affect the comfort and function of the temporomandibular joint in the jawbone. TMJ disorder treatment works to properly align the jawbone so that the temporomandibular joint can function more easily and comfortably. Dr. Barthman offers neuromuscular dentistry for TMJ disorder at her Redwood City, CA practice, a unique approach to treatment that allows her to address the problem at its source, ensuring that treatment is effective and long lasting. If TMJ disorder is present, there are many treatment approaches that can prove useful in easing the function and comfort of the jawbone, and relieving the painful symptoms of this condition. The primary goal of TMJ disorder treatment is to properly align the jaw so that it and the nerves are in proper position when at rest. One common TMJ disorder treatment is the use of orthotic splints, which are small plastic appliances that can be worn over the teeth. These appliances prevent the upper and lower teeth from clenching and grinding against one another, and can be useful in aligning the jaw properly while they are worn. While these splints can be effective, Dr. Barthman takes treatment a step further by combining this treatment method with the use of neuromuscular dentistry. Neuromuscular dentistry addresses the muscle tension that is the root cause of TMJ disorder. Dr. Barthman has special training that gives her a unique understanding of the complex nerve and muscle structures that make up the face and jawbone. Using this knowledge, she offers TENSing treatment, or Transcutaneous Electrical Neural Stimulation. This neuromuscular dentistry approach to TMJ treatment involves the use of ultra-low-level electrical pulses to stimulate the muscles in the face, neck, and back so that they lightly contract and relax. 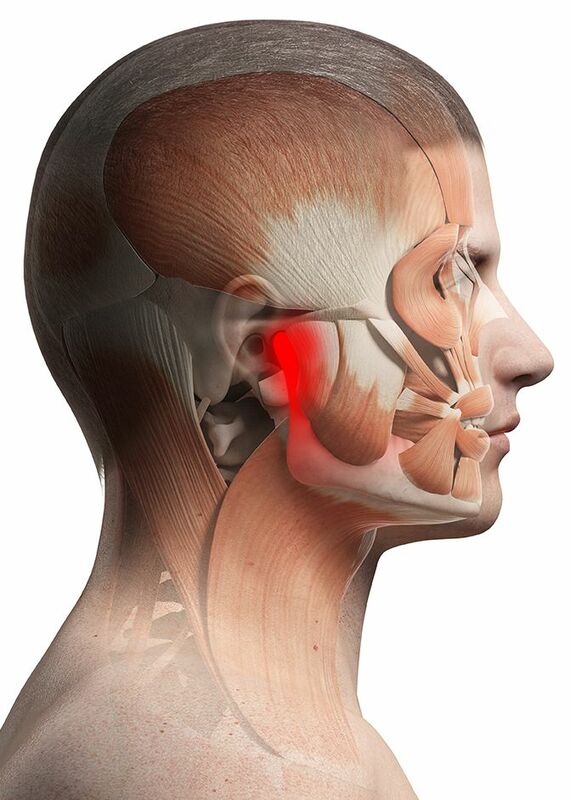 This stimulation can relieve muscle tension so that the jawbone aligns properly and sits in proper position when resting, therefore easing the symptoms of TMJ disorder. If you suffer from jaw pain, limited jaw movement, and frequent headaches, you may be experiencing the symptoms of TMJ disorder. To have this condition diagnosed, and to learn more about your treatment options, schedule an appointment with Dr. Jean E. Barthman at your earliest convenience.